Cutting up old photographs or magazines to make collages is territory artists share with pretty much everyone who’s ever kept a scrapbook, maybe with everyone who’s ever been a child. But nonetheless – or maybe as a consequence, we all recognise the activity after all – it can be incredibly fertile ground for artists. 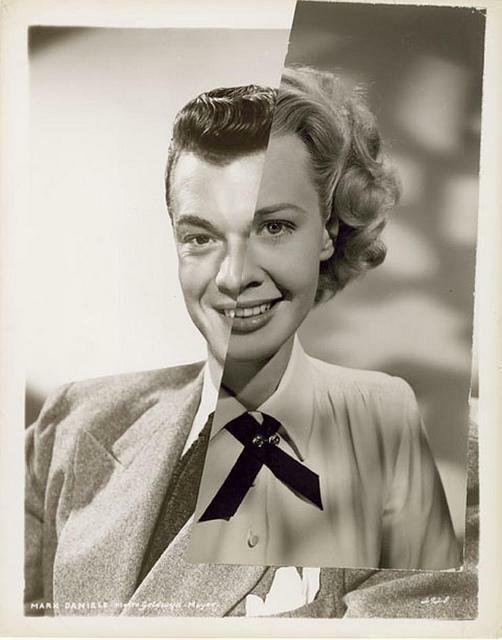 Even something as simple as cutting up two pictures and sticking them back together can result in intriguing and sometimes disturbing new images. While John Stezaker makes complex images from the simplest of juxtapositions, Abigail Reynolds makes pictures that are more complex in the making. Using found images, she cuts and folds so that the layers of visual information seem to spread and grow across and out from the page. 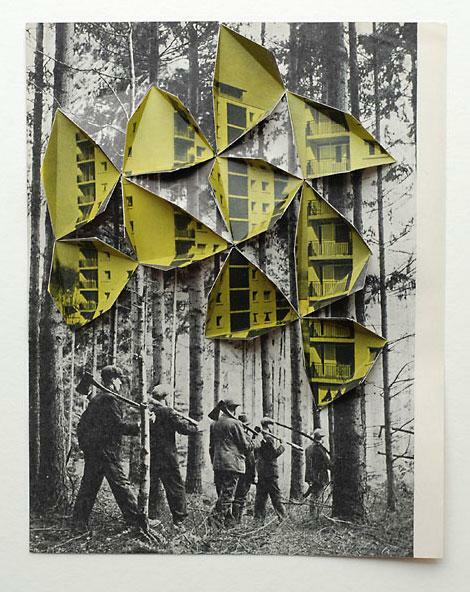 Neither Reynolds nor Stezaker attempts to hide the means of production of the work, nor pretend that the images are something other than a careful merging of readymades. With digital image manipulation now all but assumed, it’s great that artists somehow manage to do so much with so little and that it’s plenty possible to make a virtue of not hiding the join. This entry was posted in Collage, Photography and tagged Abigail Reynolds, art, Collage, found photographs, John Stezaker, photography by Ann Jones. Bookmark the permalink.